This modern table lamp fuses its contemporary arc shape with a mid-century aesthetic. The mix of its antique brass finish shade and white marble base are in the perfect scale for bedside tables and desks. 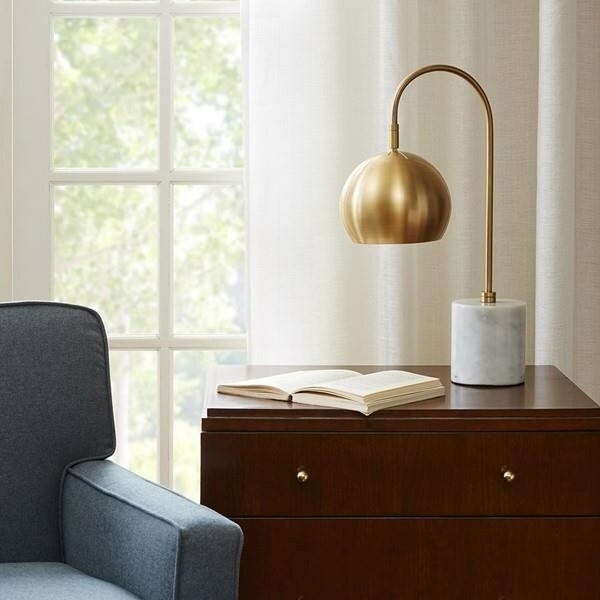 The Lamps Halsey Table Lamp by JLA Home at Sam Levitz Furniture in the Tucson, Oro Valley, Marana, Vail, and Green Valley, AZ area. Product availability may vary. Contact us for the most current availability on this product.